It’s easy to get overwhelmed with a long list of tasks, so we’ve simplified things for you. Just tackle one job on this list each month and you’ll make a huge difference to your finances in 2019. 3: Set up your budget using our handy budget planner. 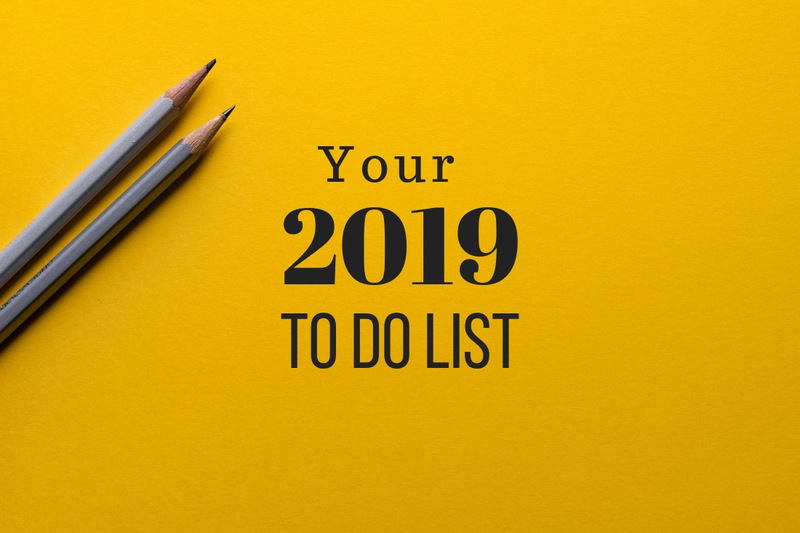 4: Stick to it throughout 2019 using ASIC’s TrackMySPEND app. If you run your own small business, consider the following four tax tips ahead of the 2019/20 tax year. Separate your business and personal accounts to avoid using your business bank account like a personal ATM machine. Establish a second business account to pay tax and GST and assist with cash flow. Stop using cash for business transactions – it’s easy to misplace receipts and miss out on deductions. Learn in advance what you can and cannot claim. Schedule a time with your boss and inform them of the meeting’s purpose. Know what your industry peers are getting paid. Clearly outline the value you bring to the company. Have reasons ready for why you want the pay rise (children’s education, etc.). Don’t take your employer hostage by threatening to move to a rival company. If you receive a ‘no’, ask for specific KPIs to work towards and ask for a reviewal date. The December holidays are a great time to sit back and take stock of what’s really important to you and your family. So use this time to carefully consider what financial goals you want to achieve in 2020. If you’re stuck for ideas, come in and have a chat to us. We’d be more than happy to help you identify goals, and can also help with other suggestions listed above.